The new Toyota Tundra proves that it’s possible for a full-size pickup to have a sleek, modern look. 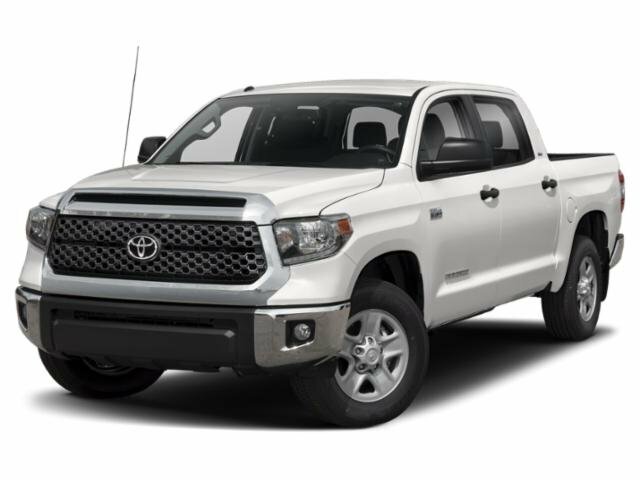 Not only does the 2019 Toyota Tundra have a modern style, but it also incorporates the sort of muscular stance that is highly desirable to many in the market for a full-size pickup truck. In addition to its groundbreaking style, the Toyota Tundra incorporates several practical and innovative exterior features. Many drivers in the Fort Lauderdale area are interested in the optional LED headlights. These advanced lights are brighter, yet use less power than traditional headlights. The Tundra comes standard with a double cab configuration along with a 6.5-foot standard bed. Drivers who plan to put the Toyota Tundra to work may want to opt for its 8.1- foot long bed, which has enough room for almost anything you may need to haul around. Drivers can also opt for a CrewMax cab style along with a 5.5-foot short bed. If you want a stylish and powerful truck, come into the Lipton Toyota dealership today. Test-drive your new Toyota Tundra. The Toyota Tundra has long been the last word for versatility and durability in full-size pickup trucks. The Tundra builds upon this tradition and even adds a dash of luxury. The optional dual-zone automatic climate control ensures that all occupants can stay comfortable, no matter what their preferred temperature is. The Toyota Tundra seats up to 6 adults in space and comfort. You can take the whole family with you, or you can take your co-workers to a job. Whatever you need to do, the Toyota Tundra has got you covered. It even has optional leather upholstery that is both durable and soft to the touch. Experience the versatility and durability of the Toyota Tundra’s interior. Come into Lipton Toyota dealership in Fort Lauderdale for a test drive today. There isn’t another full-size pickup truck on the road today that can compete with the safety technology in the 2019 Toyota Tundra. If you want to find a safe full-size truck, come to your local Toyota dealer, Fort Lauderdale’s Lipton Toyota. While many drivers would expect all full-size pickup trucks to be powerful, this simply isn’t the case. Many of the Toyota Tundra’s competitors, such as the 2019 Ford F-150 come with a standard V6. A full-size pickup truck really needs to have a V8 to give it power and capability. The 2019 Toyota Tundra has not 1, but 2 V8 engines. The standard 4.6L V8 engine generates an impressive 310 horsepower. The top-notch optional 5.7L V8 kicks out an incredible 381 horsepower. Both of these engines are paired with a 6-speed automatic transmission, which allows quick shifts and smooth power delivery. The standard rear-wheel drive enables sporty driving dynamics. Toyota’s advanced 4-wheel drive system gives the Tundra increased grip in difficult conditions. Looking to test-drive a massively powerful truck at a Fort Lauderdale car dealership? Take the 2019 Toyota Tundra out for a spin at Lipton Toyota today. The technology in the Toyota Tundra encompasses both information and entertainment functions. Toyota’s standard Entune™ infotainment system is known to be one of the easiest on the market to use. It incorporates a standard high-resolution 6.1-inch touchscreen. A large 8- inch touchscreen is optional for enhanced clarity. Music aficionados will be happy to hear about the standard 6-speaker audio system that offers an immersive listening experience. They also may be interested in the optional 12-speaker JBL® audio system that offers premium sound. If you’re in Hollywood, Pembroke Pines, Pompano Beach or elsewhere in the Fort Lauderdale area, visit Lipton Toyota today. You can try out the tech in the 2019 Toyota Tundra. Our friendly and knowledgeable sales staff is standing by to help you out.